What lost ancient work would historians most like to recover? 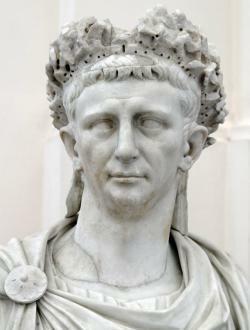 The emperor Claudius was a prolific scholar who wrote a book of dice games, a history of the reign of Augustus, and a number of other works, none of which survive. But the lost works of his I would most like to read are his eight-volume history of Carthage, his dictionary of the Etruscan language, and his multivolume history of the Etruscans. Virtually everything we know about the Etruscans and Carthaginians comes from the perspective of their wars with Rome, and the Etrsucan language is known only through inscriptions, few of which are of any length. A full dictionary of Etruscan words with their Latin equivalents would go a long way toward solving the mystery of where this language (and its people) came from and if it was an Indo-European language like Latin, a Middle Eastern language like Carthaginian, or something much older. If Suetonius’ gossipy The Twelve Caesars is anything to go on, his lost work On the Lives of Famous Whores would be a good read. So would his book Greek Terms of Abuse. Pliny the Elder wrote a twelve-volume book on the Germanic wars of Augustus and his successors that is now known only in some scattered quotes in Tacitus’ Histories andGermania. Charlemagne had a whole book of ancient Germanic epic poetry that unfortunately his son destroyed because the stories in it were “pagan.” It’s likely that the earliest forms of stories we only know via mentions in later poetry like Beowulf and the Nibelungslied about heroes like Sigurd, Theodoric, Weland, Widia, and Hama, as well as early forms of sagas about Attila and other heroes of the Migration Era were in this lost book. Leonardo da Vinci: Why didn’t Leonardo Da Vinci publish his diagrams? Middle Ages: Was the ius primae noctis ever actually exercised? Biological Anthropology: Are the DNA reports that the Paracas skulls are not human, an overblown conjecture?